MAGUS believes that development happens best in a group, or a community, and as such we take seriously our commitments to our leadership coaches by creating a strong community of coaches who bring value to our clients. Our coaches reflect the diverse workforces of our clients and are selected to ensure compatibility with the client organization. MAGUS coaches are experienced leaders themselves who are now coaching other leaders to be successful. MAGUS coaches are Georgetown University trained and International Coach Federation certified. Holly Williams’ passion is coaching leaders to build their leadership capacity to transform the cultures in which they lead. For over 15 years, her company MAGUS Group Coaching has worked with executives and teams who are committed to leadership development through coaching. In her work on the faculties at Georgetown University’s Institute for Transformational Leadership and University of Texas at Dallas Naveen Jindal School of Management, she helps others build leadership and coaching capacity. Her background also includes leadership in a Fortune 50 technology firm, as well as setting up business training for a Virginia Community College and business development for a tech firm. Holly took her MBA at George Washington University, completed the Georgetown professional coaching program in 2006; and she is PCC-certified by the International Coach Federation. Holly published Being Coached: Group and Team Coaching From the Inside with co-author Ann Deaton in 2014; her second book Build a Coaching Culture from the Inside will be published in early 2018. Scott is committed to helping leaders at all levels become as effective as possible in their organizations. After a distinguished career in HR consulting and corporate executive HR roles, most recently as the SVP of Human Resources at Freddie Mac, Scott saw firsthand the significant gap between what was needed and what existed in terms of leadership capability for an organization to compete for talent and achieve aggressive business objectives in an increasingly complex global business environment. Scott utilizes his extensive HR and business experience to assist organizations in translating business strategies and objectives into practical HR solutions. In particular, Scott has tremendous experience in the field of change management, with a particular emphasis on identifying and closing the gaps in leadership skills and capabilities to drive business results. 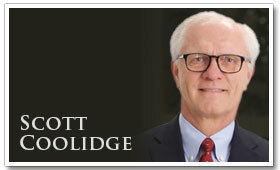 Scott is a certified Executive Leadership coach through the program at Georgetown University. 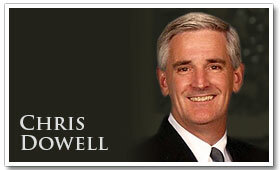 Chris Dowell has been in leadership recruitment and coaching for nearly 20 years and is an Executive Leadership Coach with a strong focus on team development. Chris has an MBA, is a graduate of the French Naval Postgraduate War College, and completed the George Mason University Leadership Coaching for Organizational Performance Program. Chris completed 20 years of military service as a Naval Officer/Fighter-Attack Pilot, including two tours in France working with French and International Naval forces. Chris transitioned from active duty service to Executive Search and Coaching and, after gaining experience with a national search firm he started his own practice specializing in individual leadership, team coaching, and board development. Chris has significant experience within the nuclear power industry, the non-profit sector, and professional services organizations, focusing on developing senior executives and boards of directors. 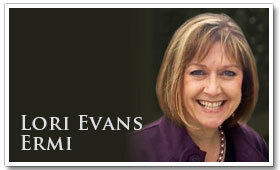 Lori Evans Ermi is committed to developing the next generation of leaders. Years of research and hundreds of interviews across all generations, public, private and non-profit sectors culminated into workshops and keynotes on "Leading Millennials" and preparing emerging leaders of tomorrow. Lori’s career experiences include: Procter & Gamble Company as a high potential; Director of Talent Development at Fannie Mae and Vice President and Chief Administrative Officer for a DC-based IT government contractor. She earned a BA from Lynchburg College in Virginia where she also serves on the Alumni Board of Directors, and she completed the Georgetown University Leadership Coaching program. Jan Day Gravel has over 25 years of experience in coaching high achieving leaders, executives, and entrepreneurs to develop their capacity to be better leaders, both professionally and personally. Her work in the neuroscience of leadership has enabled thousands of individuals to "lead with their brain in mind" to leverage not only their own leadership capacities but those of the ones they lead. Her clients include organizations such as Adobe, MetLife, and Microsoft Licensing as well as a cross section of federal and local governmental agencies. A PCC certified coach by the ICF, Jan has an MA in Conflict Resolution and is certified to administer several behavioral assessment tools. She is certified to lead the MAGUS Leadership Group Coaching program. A member of the National Speakers Association, Jan currently writes a monthly column, "Leading Edge," on leadership development and other resources for high performing leaders. 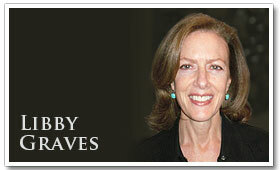 Libby Graves brings more than 25 years of experience in leadership positions at Fortune 500 companies, and particularly loves living and working in diverse, multi-cultural environments. Libby is committed to supporting global leaders develop core strengths for leadership excellence. She encourages her clients to challenge their assumptions in order to move past mental hurdles and supports them to move gracefully through crucial conversations and career transitions. Libby has her MBA from Wharton and holds the PCC certification through the ICF. She is an Executive Coach at Georgetown University's McDonough School of Business and co-creates leadership development programs for global executive MBAs, as well as the federal government sector and private enterprise. She uses behavioral assessments in her work and is certified in TAIS. She is a Certified Personal Brand Strategist. Libby is certified to lead the MAGUS Leadership Group Coaching program. Steve Heller is a dynamic and committed Leadership Coach, who specializes in helping leaders achieve new levels of personal effectiveness. He is particularly interested in the power of clarity, consistency and constancy in driving performance breakthroughs in organizations. A member of the International Coach Federation (ICF), Steve served for many years on the board of directors of its Washington, DC chapter (including a term as its president), and holds an ICF Professional Certified Coach (PCC) credential. He obtained his Certificate in Leadership Coaching from Georgetown University, and also holds a BSE degree from Johns Hopkins University and an MSE from University of Pennsylvania. 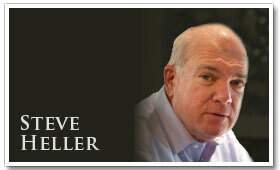 Steve is certified to lead the MAGUS Leadership Group Coaching program. After 6 years as an adjunct faculty member for Georgetown's Leadership Coaching Certificate Program, Steve became its Program Director in January of 2015. Sarah is a seasoned HR leader and Executive Coach who has been successful in a variety of industries including consumer package goods, manufacturing, and financial services. She has led large teams, managed the HR aspects of complex integrations, and driven large scale change. She leverages over two decades of experience working in companies like Capital One, Kraft Foods, and Pizza Hut to develop creative client centered approaches for individuals and organizations. Prior to starting her own business, she had the opportunity to work in a variety of HR roles for Capital One, including leading Talent Management. The organization is ranked among North America’s “Top companies for leaders” by Fortune and Aon Hewitt. 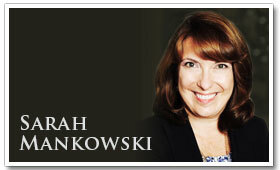 Sarah earned her BA from the Alma College in Psychology and Sociology. She also holds a Masters in Labor and Industrial Relations (MLIR) from Michigan State University. 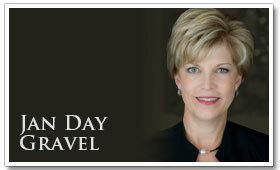 In addition she is a certified executive coach through Georgetown University. Laura has done extensive work in the learning industry since 1994 including managing internal Executive Coaching and Organization Development programs for Booz Allen Hamilton. Her experience, both as an external consultant and internal business leader, gives her a unique perspective in working with clients to create innovative sustainable results. 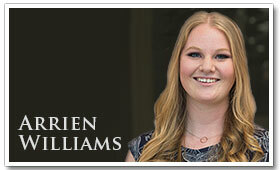 Laura works across all industries in the non-profit, corporate, and government sectors. During her 10 years at Booz Allen Hamilton, Laura managed coaching and consulting services to the top 3000 executives and received Honorable Mention from the DC ICF for her work in restructuring the coaching program to align to the organization’s strategic goals. Her coaching approach, rooted in psychology, management theories, and organizational development, focuses on core values and personality within the context of a larger system. Clients appreciate not having to change who they are but build on who they are to achieve their desired results. 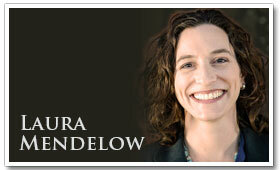 Laura is certified to lead the MAGUS Leadership Group Coaching program. Arrien Williams joined MAGUS Group Coaching as an intern in the first quarter of 2017, and was converted to an associate shortly thereafter. She is studying at Southern New Hampshire University, where she is majoring in communications and new media and minoring in information technology. Her role at MAGUS includes administrative work on group and team coaching calendars, evaluations, scheduling, and other initiatives.